⚓ T126344 Download of the update is not possible. Download of the update is not possible. The second time I come across this. Today there was an update to 3.1GB. Launcher writes - requires free space 26.6 GB. The disk is free 18.6 GB. What is this 3GB - which does not fit in 18GB, and requires 26GB? Steam reserves the entire folder with the game before the update? BISWizard changed Resolution from Open to Won't Fix. Response from the Steam support service. Unfortunately, when updating many games, you need as much free space as you would with their initial download. If you have any clarifying questions, we recommend that you address them to the developer support. You need to free up the necessary space on the logical drive or move the game to another logical drive. The day before yesterday I updated Arma3 from version 1.74 to the DEV version. It was necessary to download 7GB of updates. When upgrading to the disk, a 26GB cache appears. 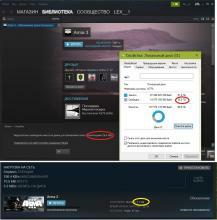 If Steam support can not help in this matter, who should do it. This is absolutely not normal, when the update requires the amount of free space on the HDD, 3-4 times greater than the amount of the update itself. This update created a cache on the HDD of approximately ~ 1.5 GB. 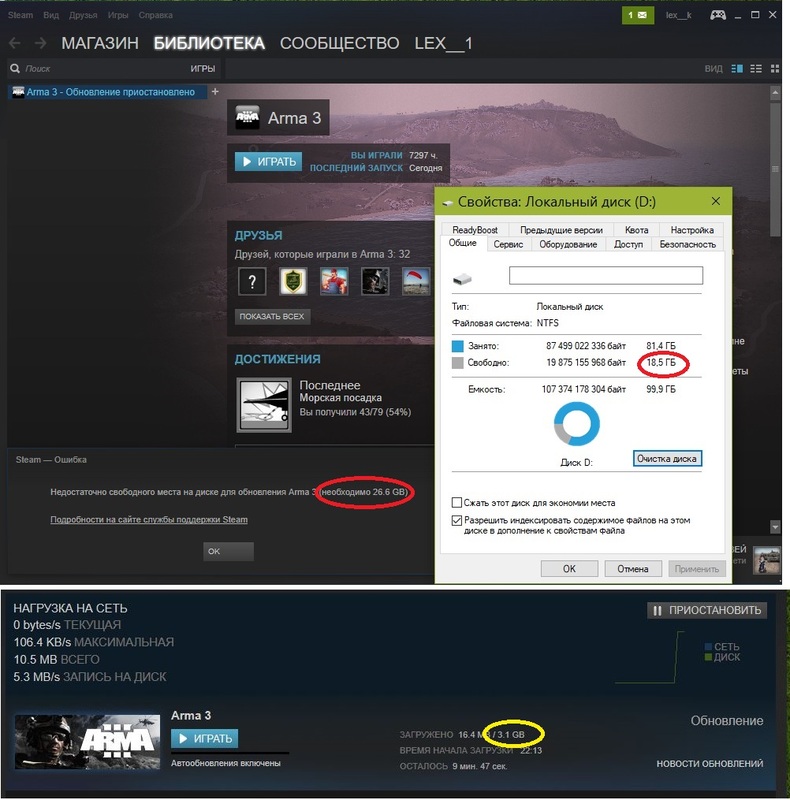 Why with large volumes of updates (3-4Гб) there a cache creation equal to the volume of the whole folder Arma3? The day before yesterday I updated Arma3 from ver DEV v1.75 to the ver1.74 . It was necessary to download 7.4GB of updates. When upgrading to the disk, a 20GB cache appears. Prior to the update, the volume of the Arma3DEV folder v1.75 = 27.5GB. The folder became smaller - by 1.3GB. Why do I need a cache with a capacity of 20GB? If that raises the question why Steam creates a copy instead of applying changes directly to the game files, then you have to look at the possibility of a failure. In the current system, when - for any reason - the update fails, then Steam can simply delete the copy and you will be left with the old version of the game intact and playable. If the changes would be done directly on the installed files, then in case of a failure there would be no backup files to return to and they would have to be re-downloaded from Steam servers from scratch (which may either fail or simply be impractical due to the slow connection) and the game wouldn't be playable until then.